What does apnea have to do with testosterone? Everything! As you hopefully know from my link on Sleep, your precious shuteye is responsible for a host of all-important physiological functions, including rebuilding your testosterone and neurotransmitters, optimizing stress hormones and mapping memory. Any condition, such as apnea, that lowers quality or quantity of sleep is a physical and hormonal train wreck waiting to happen. Apnea is one of the nastiest sleep disorders, because it is so disruptive. After all, what could interfere with sleep more than having your airways and oxygen blocked off? One study after another has rolled out showing how hard apnea is on the body and hormones are no exception. 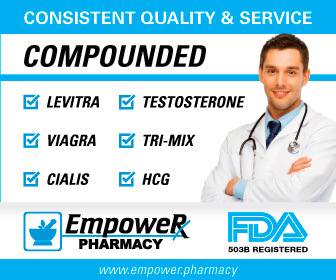 One early study looked at just how severe the damage can be and found that apnea sufferers went from a low average testosterone of 391 to a much closer-to-normal 487 after corrective surgery. That's a jump of 25% in testosterone after their apnea was corrected! However, a later study of guys in their 40's, showed an astonishing 68% difference between controls and males with apnea. Regardless of the exact number, you get the idea: apnea is devastating to your most precious hormone, testosterone. However, there is actually a logical explanation for the difference in the two numbers above: the first number comes from a comparison after apnea correction and the second before. Researchers have found that guys who have had apnea for a significant amount of time are often overweight, even obese. Fat cells pump out more aromatase, which means more estrogen, and estrogen inhibits testosterone. In other words, if you've built up a big spare tire during your sufferings with apnea, CPAP or other therapy cannot get you back to where you were before, because your own body is fighting against itself. The researchers found that apnea subjects appeared more like aged subjects where LH (Luteinizing Hormone) cycles at night were increased, yet without a corresponding increase in testosterone as is experienced by younger males. Young guys get a pulse of luteinizing hormone followed by one of testosterone and so on. This cycle is dampened increasingly in males as they age and apnea appears to accelerate this process. Similarly, apnea also leads to elevated cortisol levels. One study found that subjects had 50% percent higher cortisol before CPAP when compared to after. This is truly nasty: cortisol is not something you want elevated by even the smallest amount. Higher elevations, especially in the middle age and beyond years, can lead to memory damage, lowered testosterone and a host of other ills. I also recommend that you read my link on Natural Apnea Solutions. In the last ten years researchers have uncovered the fact that most apnea is actually lifestyle-related and not simple genetics or aging. MEN ON HRT: Apnea likely thickens the blood and raises hematocrit and hemoglobin. See my page Ways to Lower Hemoglobin for more information and some of the research. 1) Clin Endocrinol (Oxf), 1988 May ,28(5):461-70, "Reversible reproductive dysfunction in men with obstructive sleep apnoea"
2) The Journal of Clinical Endocrinology & Metabolism, 2002, 87(7):3394-3398, "Decreased Pituitary-Gonadal Secretion in Men with Obstructive Sleep Apnea"
3) Neuroendocrinology Letters No. 6, Dec 2003, 24:463-467 , "Pituitary-gonadal function in men with obstructive sleep apnea"
4) Intl J of Obesity, Nov 2000, 24(11)1433-1437, "Decreased androgen levels in massively obese men may be associated with impaired function of the gonadostat"